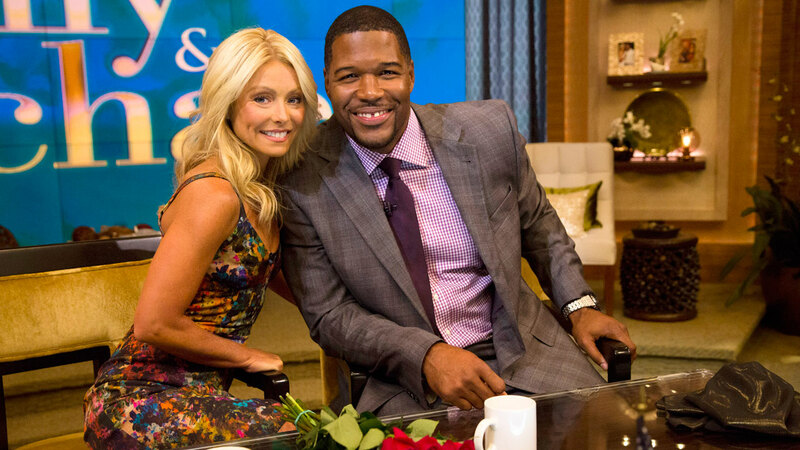 NEW YORK CITY -- Michael Strahan says goodbye to his daytime talk show with Kelly Ripa on Friday, an exit accelerated by awkwardness surrounding the announcement of his new job at ABC's "Good Morning America." Ripa was reportedly angry to learn only minutes before the rest of the world that her TV partner was leaving. She took a few days off work and received apologies from her bosses after the incident was widely publicized. Actor Matt Bomer and New York Knicks star Carmelo Anthony are the scheduled guests for Strahan's last show. Strahan was initially supposed to work through the summer, but his departure was moved up to Friday. The former football star began on "Live with Kelly and Michael" in 2012, replacing Regis Philbin.